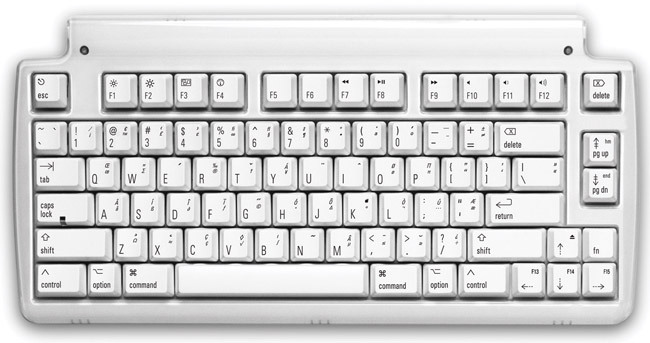 Our Mini Mac Tenkeyless Mechanical switch Keyboard with Full Size keys is one of the nicest keyboards you can get for your Mac. Built from ALPS inspired Clicky mechanical keyswitches, they deliver a feel that’s unmatched for comfort — without sacrificing the tactile feedback you need to type really fast. Just like an Apple keyboard, our Mini Mac Tenkeyless keyboard’s function keys let you control screen brightness, volume, iTunes, and more.